TAMPA — The achievements of the Connecticut women’s basketball team under head coach Geno Auriemma have become exorbitant enough that I honestly couldn’t come up with the words to describe its latest – and maybe greatest – accomplishment that it achieved tonight. Leave it to a older UConn supporter courtside, after the confetti had fallen on the Amalie Arena hard court, to give me my inspiration. Standing right behind the cordon and watching the Huskies starting to make their way to cut down the nets, the supporter stood by me side-by-side, marveling at one of the Huskies players, senior Kiah Stokes. I could just eat her up! Isn’t she just wonderful? 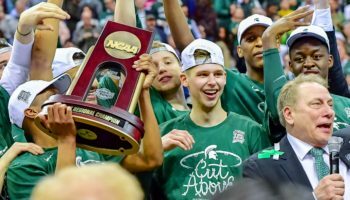 As I started to talk to her about how much of a pleasure it has been for me to cover the entire team over the past three years, Stokes was making her way to the ladder, scissors in hand, ready to cut her strand off the net for the third Final Four in a row. The supporter, reacting as if she was in the front row of a concert looking up at her favorite matinee idol perform, gasped in awe. Honestly, she’s like a Greek goddess up there, don’t you think? 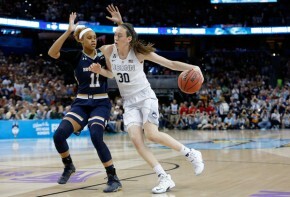 The Connecticut Huskies, wrapping up its third consecutive championship after its win over Notre Dame here in Tampa, had earned the title of Greek goddesses. The climb to the top of the rim acted as the ascent to the top of Mount Olympus. And, after coach Auriemma finished his climb and cut the final strands off the net, the only image I had was of Zeus, ruler of the Olympians who also are full of mystical powers and great feats. Breanna Stewart, the Associated Press National Player of the Year, is Hera, the queen of the goddesses whose play almost dictates everyone else’s. Even in a game where she scored only eight points, Stewart still dominated. Her 15 rebounds and four blocks showed once again how she can dominate the game without dominating the basketball offensively. Stewart won the tournament’s Most Outstanding Player for the third year running, the first time that has ever happened in the women’s game, with the feat only matched by another of the sport’s deities – Kareem Abdul-Jabbar of UCLA. After Stewart is Kaleena Mosqueda-Lewis, the senior steadying force who would resemble Demeter, the goddess who preserved and harvested grain. Many times in her four years, she has been the headline player, with her NCAA D-1 record for three-pointers (398) pointing to how lethal her game has been. But many times, the player her teammates call “K” only needed to just hit the right shot at the right time, and tonight was no different. Notre Dame was daring to shake the pillars of Olympus, keeping close with the Huskies late in the second half and possessing the ball only down six with under five minutes to go. Jewell Loyd’s drive to the basket ended with Stewart holding fort under the basket, leading to a Huskies fast break. And when Mosqueda-Lewis drained a right-wing three with 4:58 left to finish the fast break opportunity, UConn was up nine, and it served as a final lightning strike to Notre Dame’s comeback hopes. Moriah Jefferson, the guard who never stops causing havoc defensively, is Athena, the goddess of war and wisdom. Belying her introverted personality, Jefferson has a burning passion to shut down her opponent at every turn, with her four steals tonight bringing that total up to 98 for the season. 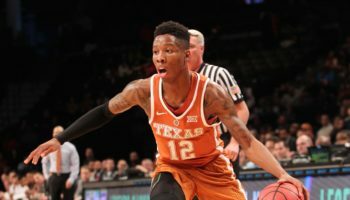 Along with the defense, Jefferson developed into a legitimate two-way threat, becoming a 50 percent three-point shooter this season. 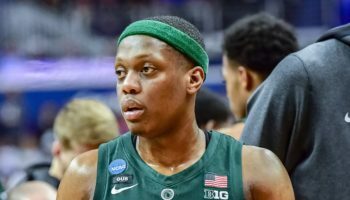 What’s scary is that players like Stewart, Jefferson, Morgan Tuck (who averaged 18 points in the two Final Four games) will be back next year, ready to add to their lore and legend. It’s no wonder why so many fans and admirers of the Connecticut women would engage in outright idolatry. 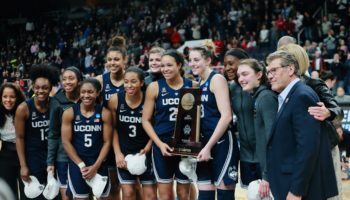 The amount of laurels earned by almost every woman who has worn the blue and red of the Huskies in the past 20 years – spearheaded by Zeus, er, Auriemma – could only be earned by beings beyond mere mortals. 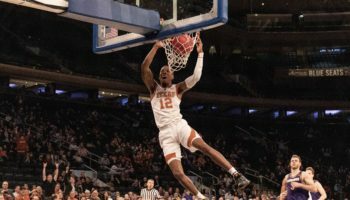 Connecticut’s latest championship once again has cemented its college basketball immortality.